Once in a while someone challenges the status quo. They ask “Why?” about something so much a part of the established routine that after reading their question, you realize you never even considered it a choice, it just seemed automatic and above reproach. Conventional wisdom firmly dictates that a fourth quarter release is an efficient strategy for taking advantage of the holiday sales season. But Christman asks, “As the music industry goes digital…will albums continue to be an important gift item?” The article notes that according to Nielsen Soundscan, the last seven weeks of 2000 saw 181 million albums get scanned. In 2011 the number of scans for that period fell to 69 million units. Of course, album sales have also been falling year-round, not just during the holidays. So how does one explain the holiday losses? Partially it is due to increased competition from video games, DVDs and other impulse gift items. Gift cards are also possibly contributing to the decrease, since they are often redeemed after the holiday and don’t show up in the holiday sales numbers. And the ongoing, year-round slide in album sales hints that consumers are becoming more interested in buying hit singles than entire albums for many artists. Lastly, there are subscription models like Spotify and Rhapsody that are also helping to shrink download tallies. It’s a point worth considering. And in fact country’s sparse superstar release schedule this holiday season may be a reflection that Music City marketers are doing just that. Country YTD album sales continue to slowly relinquish the lead established earlier this year as scans ease back a few more points from last week’s 2.2% to 1.8%. The all-genre balance remains fixed at -3.7%. Country track sales are up 12% YTD (all-genre tracks +6%) thanks to help from Ms. Swift’s “We Are Never Ever…” which was downloaded almost 307k times this week for a two-week total of 930k. Swift’s single rides atop both Country and all-genre chart lists for a second week, forging the current definition of “mainstream.” And assuredly, Swift’s upcoming Oct. 22 album will be a major factor in measuring country album sales for 2012. 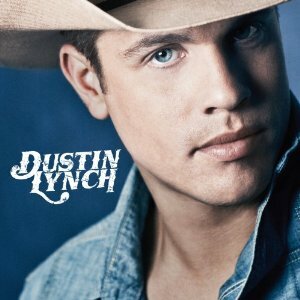 Topping Country’s Current album chart this week is Broken Bow newbie Dustin Lynch with impressive week one scans of over 23k. Rounding out the Top 5 are Zac Brown Band (No. 2; 18k), Lionel Richie (No. 3; 15k), Carrie Underwood (No. 4; 15k) and Luke Bryan (No. 5; 14.5k). Also chart-new this week was Dierks Bentley’s digital EP (No. 12; 8k) and Show Dog’s J.T. Hodges (No. 23; 4k). Did you know that country artists have sold about 110 million tracks YTD? (Total track sales YTD are 894 million). See all the upcoming country album releases HERE.